Get ready to battle in Warlords Slots! Fight to be the sole ruler and win your riches! There are loads of bonuses and big wins waiting for you! 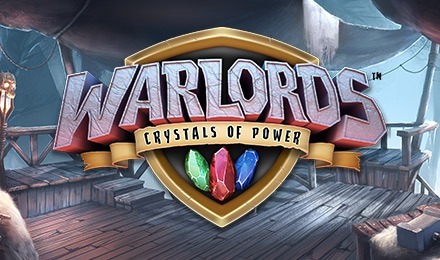 Warlords – Crystals of Power Slots features the 3 remaining rulers of the world – you’ll have to choose one to side with and fight for your riches! The 3 warlords are the Samurai, the Priestess and the Barbarian, and each one has a different colour and amount of FREE spins associated with it. There are 30 paylines, a 96.89% RTP, Overlay Wilds and more! Login and spin Warlords Slots today!